After more than 60 years in business, Wilmette Jewelers closed its doors for business back in January. At the time, owner Gayle Inbinder expressed her hope that she could find the right buyer for the property—someone who shared the family-based values that the long-time jewelry store had always been known for. Soon after, she found that right buyer in Bella Cosa Jewelers. 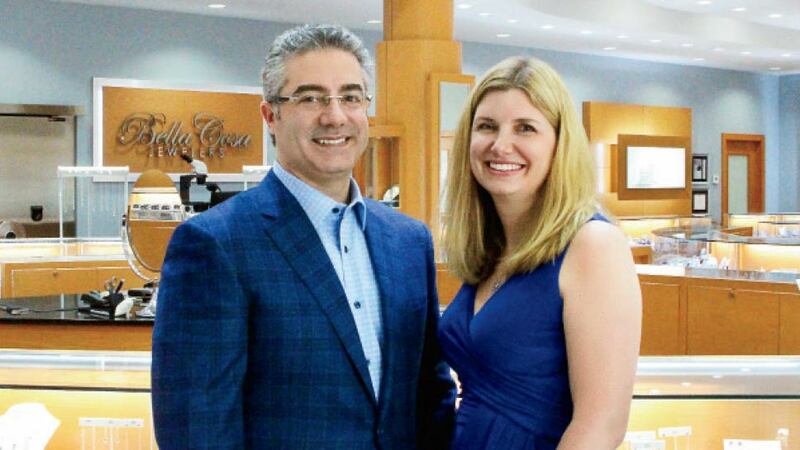 Located at 1149 Wilmette Avenue, the new location of Bella Cosa Jewelers opened in mid-November and Molfese says he is eager to greet many new customers during the always-bustling holiday season. “The holidays are the time of year where shoppers are looking for that perfect gift, so I’m excited that many people will be coming in to see the new jewelry store in town,“ he says. Of course, Bella Cosa Jewelers have long considered the North Shore as home to an important segment of their existing customer base, with many of them travelling to Bella Cosa’s Willowbrook location for their fine jewelry needs throughout the years. Bella Cosa has long been known to carry a large selection of GIA graded loose diamonds, beautiful fine jewelry, and gemstone jewelry including prestigious lines such as Tacori, Simon G., Jack Kelege and Tag Heuer However, Wilmette’s Bella Cosa Jewelers will be a bit different from the Willowbrook store. It’s this inviting feeling that has always been part of the success of Bella Cosa, which is a family business. And yes, Bella Cosa not only values their customers, but the community in which they work. Bella Cosa Jewelers is located at 1149 Wilmette Avenue in Wilmette. For more information, visit mybella.com.